Never underestimate the ability of the government to screw things up. After a very very long delay, two things have shown up. 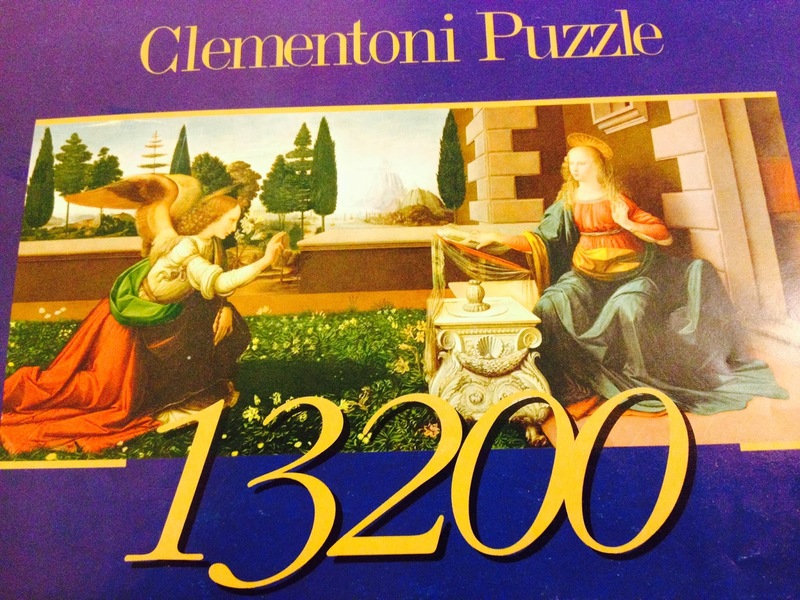 The 13,200 piece Clementoni puzzle of Leonardo's Annunciation finally showed up after it was shipped nearly 6 months ago from Germany! 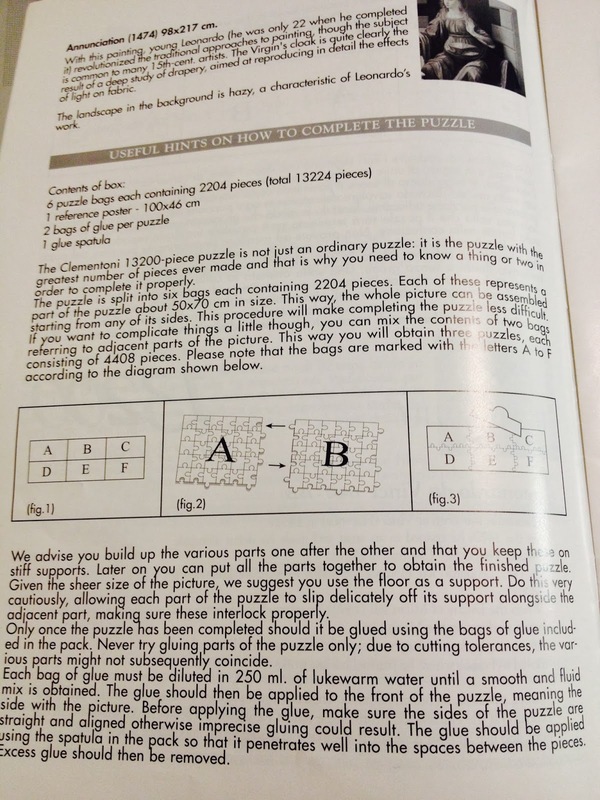 This puzzle is certainly in the top 10 rarest big boy puzzles of all time and beautiful. It was bought used, one bag open and hopefully all is well. Also, our puzzle collection and the rest of our belongings have found there way to us despite being told by the USPS that they were lost and to file an insurance claim! Today I have to go pick them up from Mountain View, CA. Exciting times. It looks like the wife and I might be moving to Berkeley, CA while we chase the all mighty dollar. We also found the San Francisco Jigsaw Meetup group and hope to do some puzzling with them soon! 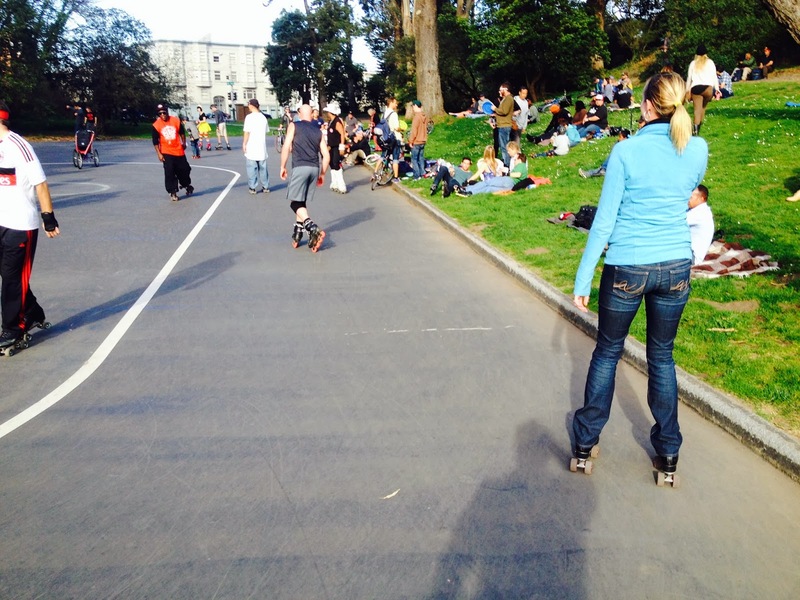 Oh yeah, we did something really fun yesterday, we went roller skating in Golden Gate Park! All this time I never knew this was there. So fun! M getting her Skate on!